New Delhi, Nov 2: Air Force Chief B S Dhanoa is on a five-day visit to Vietnam to enhance bilateral ties, the Air Force said today. 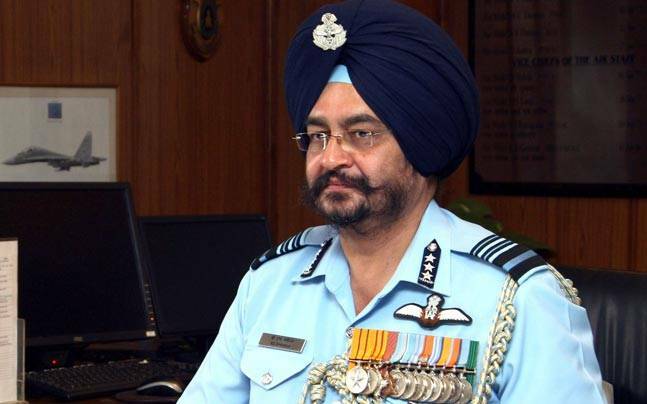 Air Chief Marshal B S Dhanoa is on an official visit to Vietnam from October 30 to November 3. "Aim of visit is to improve Bilateral Relations & #DefenceCooperation," the official handle of the Indian Air Force tweeted. Last month, Navy chief Sunil Lanba had undertaken a four-day visit to the Southeast Asian nation. The aim of his visit was to "consolidate cooperation" between the armed forces of India and Vietnam and also to "explore new avenues of defence cooperation".